The first breakfast cereal was produced in 1863. 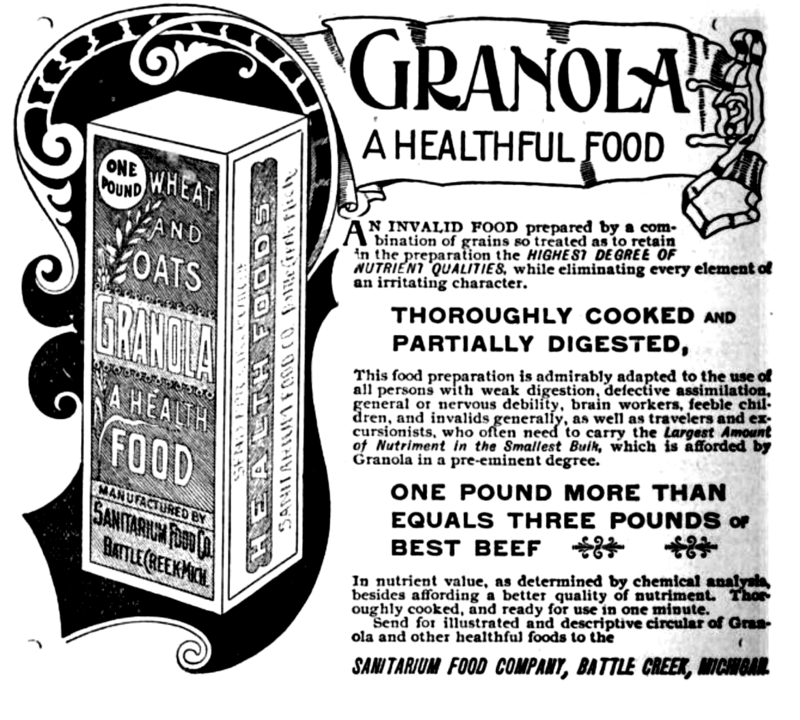 Its name was “Granula.” It wasn’t much like the cereal we eat today. It needed to be soaked in milk overnight because it was so hard. A man named John Henry Kellogg slightly changed the recipe and renamed it “Granola.” It became a success and a substitute for the typical breakfast of eggs and meat. Read more about the evolution of breakfast cereal.